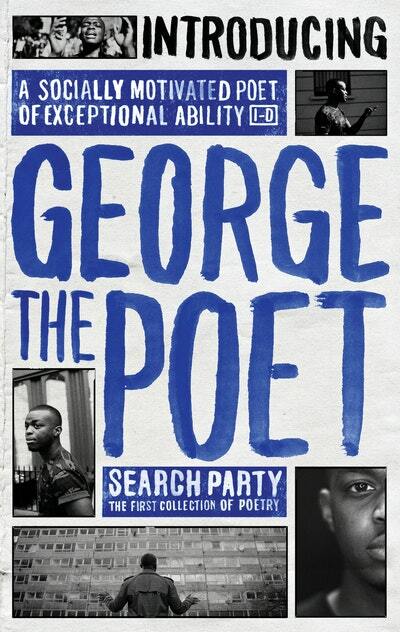 The first collection of poetry by ‘the hottest name in spoken word’ (Observer), George The Poet. A young black poet blending spoken word and rap; an inner city upbringing with a Cambridge education; a social consciousness with a satirical wit and infectious rhythm – George The Poet is the voice of a new generation. Search Party is a thought-provoking and deeply autobiographical collection. From the overtly political ‘Go Home’ to the deeply personal ‘Full-time’; the narrative poems that offer vivid and unapologetic snapshots of inner-city life, such as ‘His Mistakes’, ‘Believer’ and the anthemic ‘My City’; to the provocative social commentary in ‘Lazy Dog’ and ‘YOLO’; to the inspiring, idea-driven pieces such as ‘The Power of Collaboration’ and ‘School Blues’, George takes poetry into new territories and to new audiences, offering a different way to talk about the things that matter, to explore his own experience and ideas, and encourage others explore theirs. 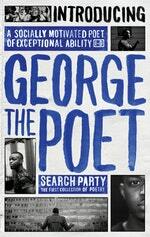 George The Poet’s mesmerising and unforgettable live performances have earned him critical acclaim. From sell-out headline gigs and YouTube hits, to recording his own music, and now his first collection of poetry, George uses his work to speak truth to power and challenge our preconceived ideas about the society we’re living in. Whether you’re searching for yourself, for answers, for change – join the search party. Love Introducing George The Poet? Subscribe to Read More to find out about similar books.